Recipe: Knorr's Creamy Shrimp Alfredo | The Food Hussy! I'm always trying to find quick and easy dinner recipes - tonight I decided to use something normally left for side dishes and make it a main dish! 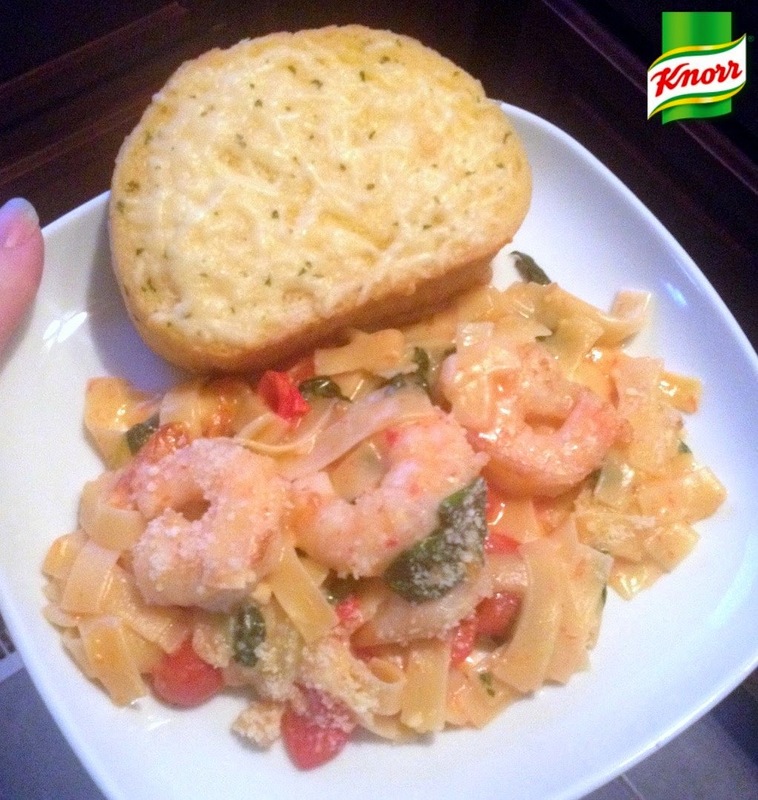 Knorr Pasta Sides are available in 13 flavors - from Alfredo to Scampi and Butter to Chicken. They're delicious and FAST - which is what I need after working all day. Knorr and Giant Eagle have teamed up to provide a Free Recipe Book for their side dishes. You just add a couple extra ingredients - like shrimp, spinach and cherry tomatoes - and you'll have a main dish that everybody will love! 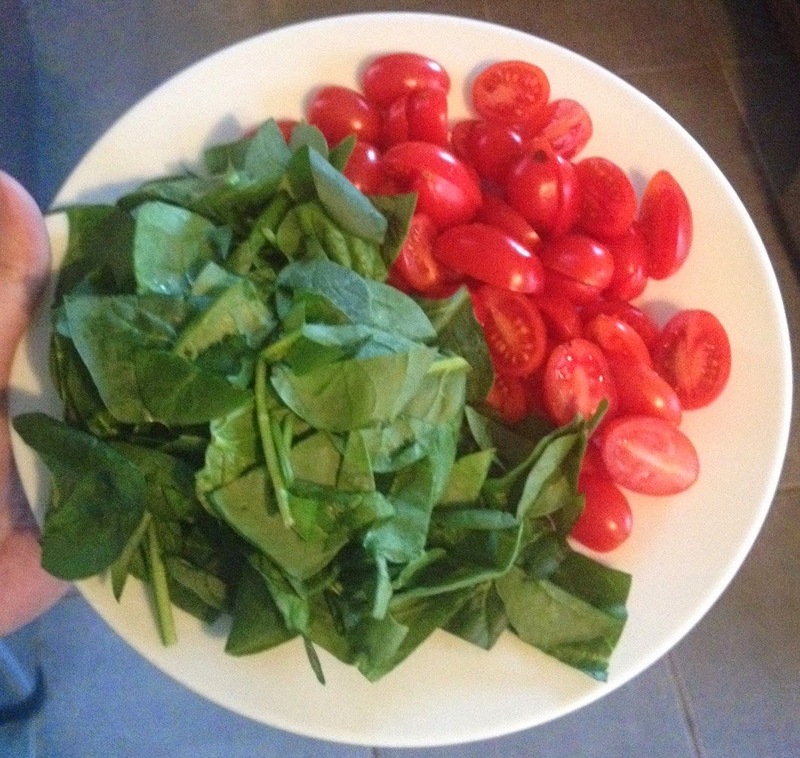 I chopped a large handful of spinach into smaller pieces and sliced a cup of cherry tomatoes in half. They're so bright and colorful - definitely the kind of veges I like to eat! For the recipe I chose - Knorr Creamy Shrimp Alfredo - I used the Alfredo Pasta Side dish and cooked according to package directions. 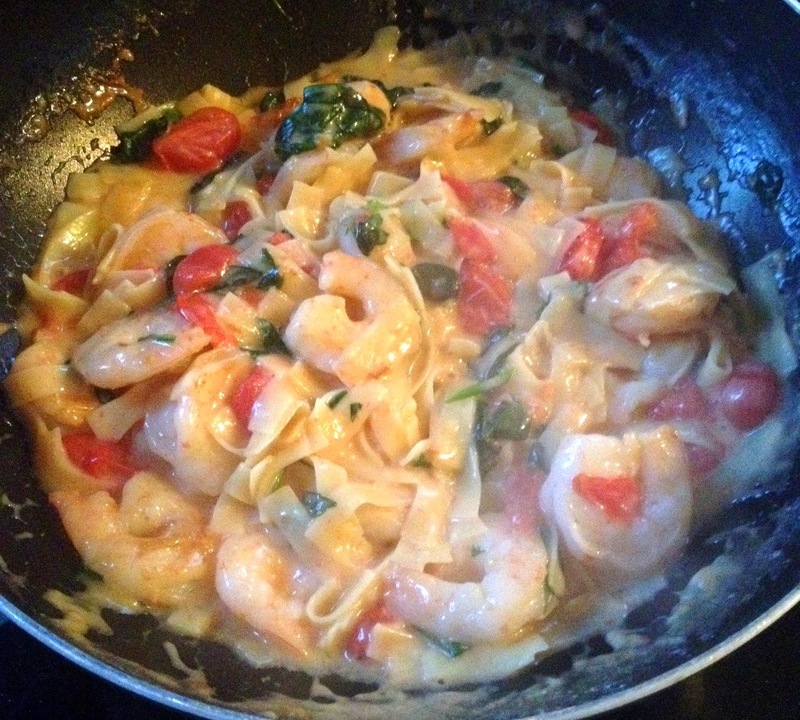 Then I added the spinach and tomatoes while I sauteed the shrimp in a separate pan. I like to use the frozen RAW shrimp that is peeled & deveined. It's typically right NEXT to the precooked in the freezer section. Once I tried the raw - I never went back. The precooked are really great for shrimp cocktail though. Once the pasta is cooked - you add the freshly sauteed shrimp and give it a quick toss. It looked and smelled delicious - I was definitely ready to dig in! 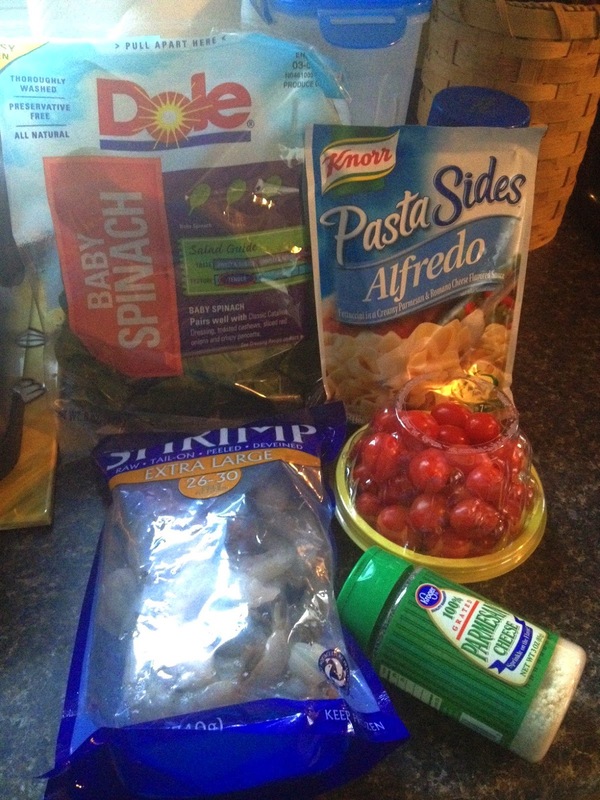 I really love these Knorr Pasta Sides - I've been using them for years. It's so great to know that now I can use them for entrees too! I'm not sure why I never thought of it! :-) I have already downloaded the Free Recipe Book so I can find even more good stuff to make for dinner tomorrow! 1. Prepare Knorr Pasta Sides - Alfredo according to package directions, stirring in tomatoes and spinach during the last 5 minutes of cook time. 2. Meanwhile, heat oil in large nonstick skillet and cook shrimp, stirring occasionally, until shrimp turn pink, about 5 minutes. 3. Stir cooked shrimp into hot pasta and sprinkle with cheese. And don't forget - Giant Eagle has Knorr Pasta Sides on special 10 for $10 and when you buy $10 - you get $3 off cooked or uncooked shrimp from the seafood department on your next visit.